The Transport Minister says that talk that the government has €1 billion more to play with in the next Budget “gave me bad memories of Charlie McCreevy”. TRANSPORT MINISTER LEO Varadkar has said that the estimated €1 billion less that Ireland has to borrow as a result of the promissory note deal is not automatically an extra billion euro to spend in the next Budget. Varadkar was responding to claims that the Budget for 2014 will require €1 billion less of an adjustment than the €3.1 billion that is being targeted as part of the government’s bailout deal with the Troika. The Fine Gael TD said it was “too soon to make that call” on the size of the budget adjustment for next year and warned that budget overspends in certain departments or a failure to reach growth targets may mean there is no net gain. “I think before we start talking about how we are going to reallocate that billion I think we need to make sure first that we meet our budget targets,” he said. He acknowledged that the deal on the promissory notes, which involves the liquidation of the former Anglo Irish Bank and the swapping of the promissory notes for longer term Central Bank bonds, was a good one for Ireland. “It does save us a billion-a-year which is very important,” he said adding that some estimates from economists had equated it to a debt writedown of as much as 40 per cent. However he told Pat Kenny that the talk of the government having an extra €1 billion on hand for spending “gave me bad memories of Charlie McCreevy and the old habit of ‘If I have it, I spend’” referring to the budgets of the former Fianna Fáil finance minister. Varadkar also pointed out that this year the government will make a net gain from the banks, getting more money from them – including the sale of Irish Life – then it is putting into financial institutions. But he noted that the State is borrowing €12 billion this year. Varadkar said “the budget’s far away” and that it was too soon to get into specifics but also said that an October budget is “very likely” with new EU rules meaning a draft budget will be formulated to be examined by a committee in the autumn before being finalised by December. 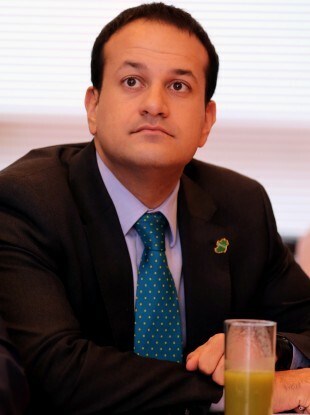 “People will be able to put up realistic alternatives to what are there,” Varadkar said of the proposed draft budgets. The Minister also said that proposed reforms to the payment of child benefit would need to the “thought true and may need to be phased in”. Email “Varadkar: Promissory note saving 'is not €1bn more we have to spend'”. Feedback on “Varadkar: Promissory note saving 'is not €1bn more we have to spend'”.